Two bar snacks in one - Jalapeno Poppers and Pretzel Bites! Try stopping after just one of these Jalapeno Popper Pretzel Bites! Just try it! I bet whole bowl will be empty before you even realize it. I bet! These are so so good. To kick-off the Sunday games or holiday family fun snack or just because you craving a bar-snack at home... these pretzel bites not only taste delicious but make a yummy presentation too. 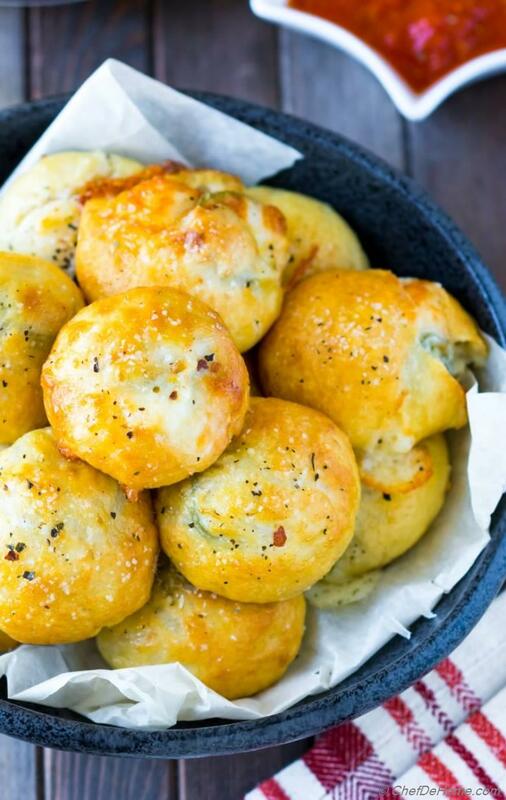 Really, these are best of both, cheesy jalapeno poppers and soft baked pretzels. Actually, I call'em bar-snack 2.0!! 2 snacks in price of one. Make it at home, and it is almost free! Seriously, almost free!! All you need is flour, butter, yeast for making soft homemade pretzels and few pickled jalapenos and 1 cup of shredded cheese for stuffing! And you get bowl full of cheesy jalapeno cheese stuffed pretzel bites! Now, imagine ordering a big platter of pretzels and jalapeno bites in a bar! So, let's cook at home! Grab your favorite chair in front of TV and dig in! Have you ever had Jalapeno Cheddar Pretzel while roaming around in shopping mall? I bet, you did!! Omg! I love eating pretzel whenever I get chance to visit mall. After churros, I think this is one of my biggest mall/bar-food obsession! Since jalapenos makes buttery pretzel even more delicious... looks like these are made for each other. 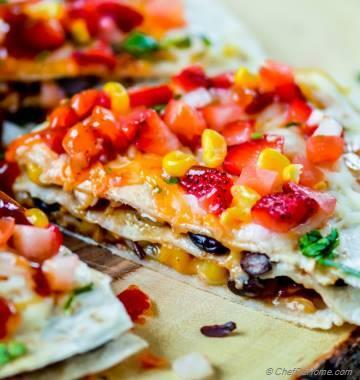 Now, no jalapeno fan can stay away from another bar-finger-food! So, today, I decided to bring home, two bar appetizers in one bite with Jalapeno Popper Pretzel Bites. OMG! You Guys!! 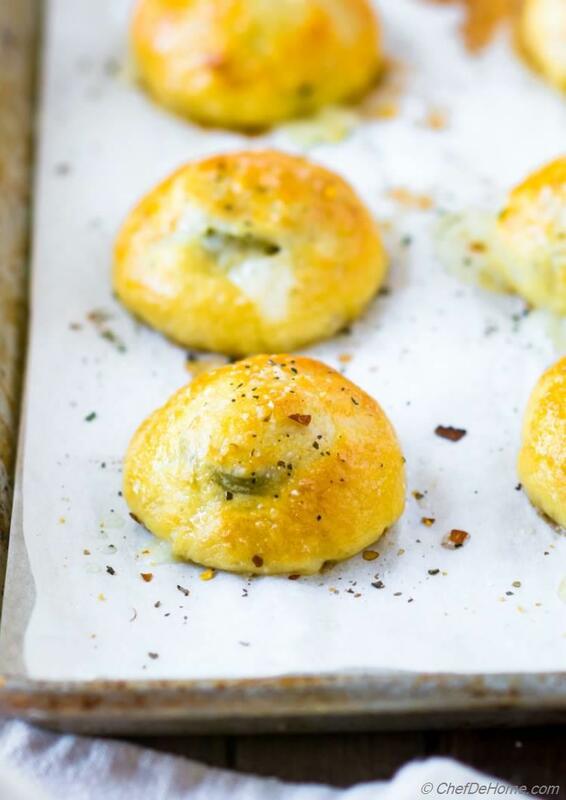 These Jalapeno Popper Pretzel Bites are so good. First the buttery pretzel, then pickled jalapeno, then warm melted cheese oozing out. Dip in marinara or just eat without it. It tastes delicious either ways! I start by kneading the dough for pretzel bites with yeast, milk, butter and seasoning. Kneading helps develop the gluten and makes pretzel bites soft and chewy. After one rise of 1-1.5 hour, dough is ready to stuff and bake. The recipe yields 24 tennis ball size pretzel bites. And it doubles easily. So feel free to make a bigger batch. Once dough has risen, I divide it in 24 portions. Slightly flatten each piece and stuff with little bit of cheese and jalapeno slice. I used 3 whole pickled jalapenos and sliced them in 24 pieces. 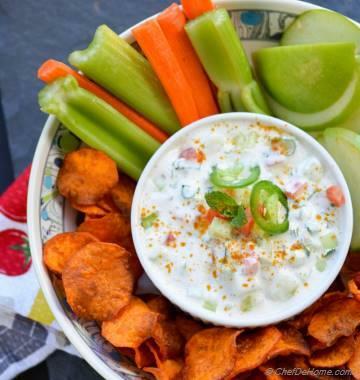 You can also use pre-sliced jalapenos. In both cases, make sure to pat them dry. That helps make perfectly cheesy pretzel bites without any moisture. Once ready to bake, pretzel bites get quick water bath in soda+salt water. Moment dough hits the water, you can smell the signature aroma of pretzel cooking. Make-Ahead: Make dough Sunday morning, stuff with cheese and jalapeno, and refrigerate (covered). Boil and bake in evening before serving. I made a big batch of jalapeno cheese stuffed pretzel bites last weekend. We ate a lot of them while watching Sunday game but I had 5-6 leftover. I left those covered on kitchen counter. Next morning, warmed up 20 secs in microwave and these were as soft and cheesy as just baked. So, you can even bake few batch ahead of time. And microwave as many as needed. The fact that these are jalapeno popper and soft pretzels in one.. These were hit in my family! I'm sure baking another batch soon coming weekend! I hope you will get chance to try them soon too! A few more easy appetizers for Game Day! Smart Swap In hurry? Replace pretzel dough with store-bought pizza dough! 2. Once yeast bloom, add in 2 cup flour, salt, melted and cooled butter, 1/2 cup milk and combine with spatula until dough comes together. Transfer to a kneading surface, add remaining flour 1-2 tbsp at a time while kneading the dough. Knead for 5 minutes to build gluten. Transfer to a buttered clean bowl, cover and set aside to rise until doubles in size. 2 hours. 3. Punch down the risen dough, remove on a flour dusted board and dive into 24 equal portions. Also set oven to preheat at 450 degrees. And bring a pot of water to rolling boil for pretzel bath. 4. 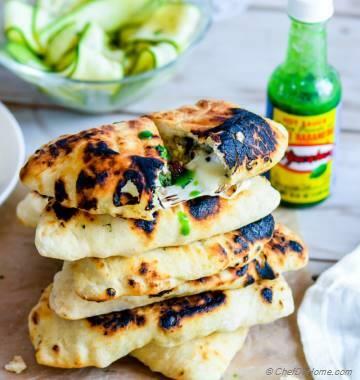 Press each portion of dough to make small flat surface, fill with slice of jalapeno and a heaping teaspoon cheese. Close all sides and roll to a small tennis size ball. Set aside. Repeat with all 24 portions. 5. When water start boiling, add in baking soda and salt mixture and stir well. Gently drop in each pretzel ball and boil for 20 seconds. Then remove with slotted spoon onto parchment lined sheet tray. Repeat with all 24 portions. 6. 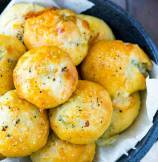 Sprinkle ready pretzel dough balls with coarse salt or pretzel salt. Bake in preheat oven for 8-10 minutes. 7. Once baked, brush butter on pretzel bites and let cool slightly before serving! Serve with side of marinara and enjoy! thanks my friend! Happy New Year to you too! 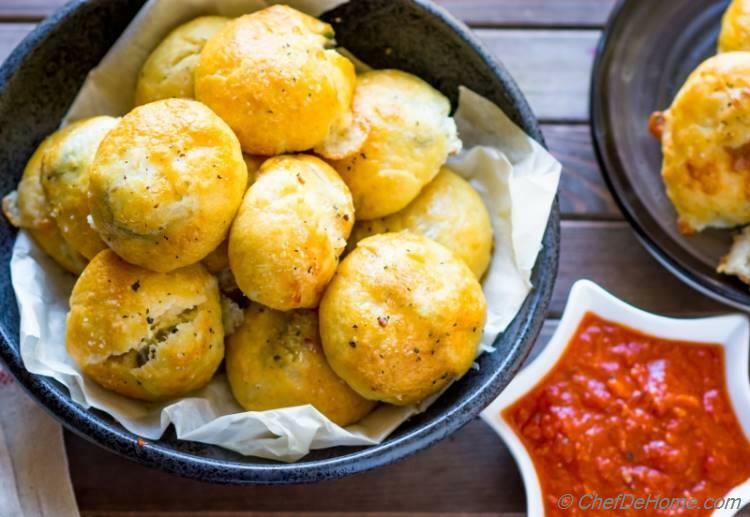 These sound really like spicy cheese bombs and my family loove those. I made the dough, can't want bake these cuties! yumm!! thanks Laura! 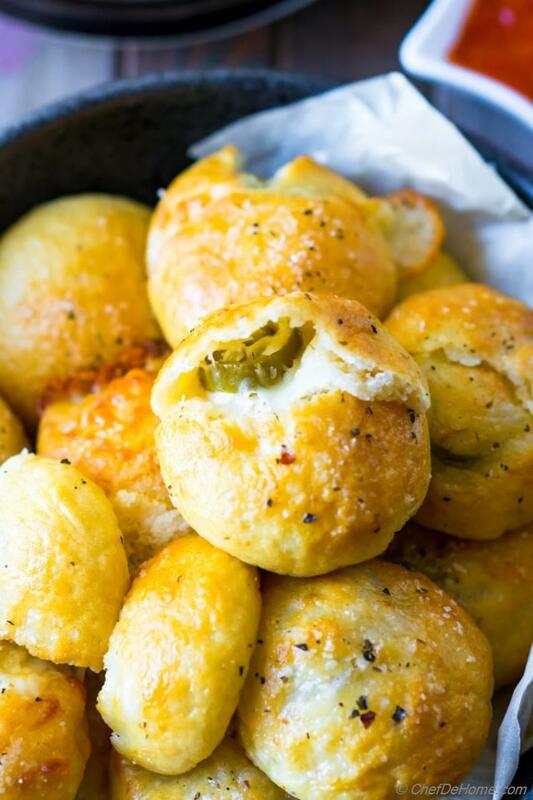 Indeed, these are little cheese bombs with kick of jalapeno. I hope you enjoyed! This looks really good. I will try it real soon. yumm! Hi Courtney, thanks! I hope you enjoy it when you try.